I love sports so when the Olympics started, it made me think, what can we learn from them that we can apply to marketing and to our business? There are two main lessons we can learn. 1) These are the best of the best of their sport and they train all the time to constantly try and be and better and to beat what they did before. They have competitors but they are also against themselves. 2) The athletes mindset has control and they are always looking for ways to engage and empower themselves in the sport that they are a part of. Back in the old days, these athletes were amateurs and do this in their spare time all the while working a regular job. They train and get up early and are committed to learning their craft. They practice and aim to hit goals to be ready to peak for their ultimate goal in the 4 years they are working. To translate that to business, you need to set goals and marks along the way in your business to reach your ultimate goal. You do not want to go from here to there. You need to have marks along the way to help you get there and reach your goal. You need to take little steps to get there. Ask yourself where do I need to be in 4 years, 3 years, 2 years, 6 months to meet this goal. And athletes do the same. They will work on stamina, muscles, stature, and they will need to work on these areas to base them to where they need to be gradually. Do we focus on goals? Probably but do we laser focus? The next time the Olympics will come around will be August of 2020, so having that date in mind, you might think it will be easier for the athletes to train since they have a goal date in mind. Why can’t we do the same in our business? We just pick where we want to be at a particular time. Every athlete is aiming to be a gold medalist and we need to do the same in our business. 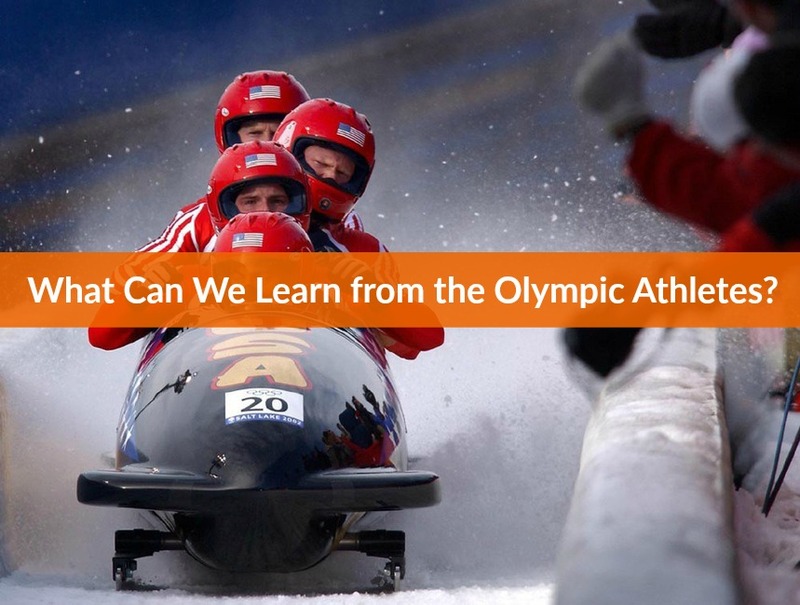 What steps can we take to get us up to to be the best of the best in our business like the athletes do in the Olympics? First of all, continually learn and continually improve. Get yourself a coach or mentor. How do you know you are doing it to the best of your ability? You need someone with an outside view who can make sure you are using all the tools and such to help you get where you need to be. Are you setting goals? If you are, are you laser focused on those goals? Target them and have every goal building up to reach the main goal. Just go for it! You never know. Today is Monday and that means it is time for a book. This book is particularly good because the number of top people in the marketing game follow this system. 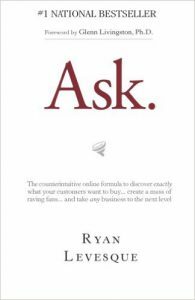 The book is called Ask by Ryan Levesque. The book says — how do you know what your customers want to buy? Do you know what you want them to say, how you want them to purchase, etc? How do you really really know? Now, this is like mind reading. Ryan has built on this system called the Ask Formula which was set up by Dr. Livingstone who is just a genius. I strongly recommend you check it out. You will learn so much. I will be back tomorrow with another great toolbox tip.